With thorough industry knowledge, we are engaged in manufacturing, supplying, distributing and exporting a wide range of Well Stimulation Chemicals. Our experienced and qualified professionals process the offered range using excellent quality ingredients that are sourced from most trusted and reliable vendors of market. Post-formulation, these products are thoroughly inspected on certain parameters of quality in order to rule out every possibility of flaw. 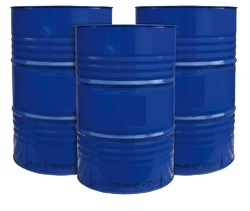 In our range, we offer Acid Corrosion Inhibitor, Surfactant and Non- Emulsifier. Owing to our vast manufacturing facilities, we are able to manufacture, supply, distribute and export a vast range of Non- Emulsifiers. Our range is a perfect blend of coupling and wetting agent. These products are highly effective and prevent emulsification of water fracturing fluids and hydrochloric acid with crude oil during water fracturing job. Moreover, these products are compatible with water fracturing fluids and well stimulation chemicals.